Mass Council for the Social Studies will be hosting a spring one-day statewide conference on March 9, 2018 at Bridgewater State University with a particular focus on geography education. The theme of this spring conference is GOING GLOBAL. As one of the 4 major strands of Social Studies, geography plays a major role in each of the other strands. As students become global citizens, it is important for them to understand the interaction of history, civics, and economics with geography. Collaboration across curriculum areas also enriches instruction by integrating social studies through literacy and STEM. By broadening instruction, combining the strengths and perspectives of each of the social studies subjects, teaching and learning is enhanced and students are able to better understand our world. In order to be effective and productive 21st century students, they must be well versed in all aspects of Social Studies and be able to understand the interaction of world economies, the cultural and physical aspects of places and how that plays out on a world stage. Exhibits, EarthView, and NGS Floor map on display in Kelly Gymnasium. Boxed lunch is available at the conference. Special presentation of FRIEND OF GEOGRAPHY AWARD will take place during the luncheon. 10 PDPs available for full day attendance and develop, implement, and reflect on lesson activity unit using content learned from the day’s workshop sessions. From the perspective of a Geography Professor specializing in climate change and weather, it is clear that socio-economic costs and hazards faced by local communities today are directly influenced by increasingly extreme weather events. 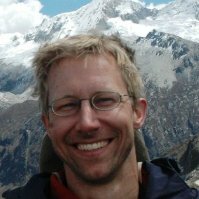 Dr. Robert Hellström provides a global perspective on increasingly chaotic climate behavior and foundations for building climate literacy and community resilience. 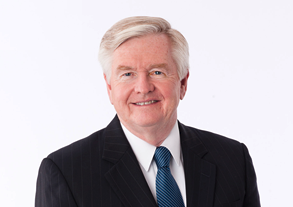 He stresses the importance of educating and empowering the next generation to become citizen scientists, build a firm understanding of extreme weather impacts on their locality, and confidently engage with their community and advance resilience strategies. SPECIAL EVENT AT 2:00 P.M.
On January 23, 2018, the Massachusetts Board of Elementary and Secondary Education voted to release the current draft of the 2018 History and Social Science Curriculum Framework for public comment. In order to gain additional public input, the Department, in partnership with the Massachusetts Council for the Social Studies, will host an overview presentation at the Spring 2018 One-Day Statewide Conference. This session will welcome participation by PK-12 and higher education faculty, administrators, the general public, students, and parents/guardians on proposed changes to the 2003 History and Social Science Curriculum Framework. Registration: There is a public session on the revision of the Framework at 2 pm that will be open to the public AT NO CHARGE. Registration for the session on the framework only. REGISTRATION TO THIS CONFERENCE IS NOW OPEN! Preservice teachers, students & retirees: $45. SAME DAY REGISTRATION AND CHECK-IN STARTS AT 8:00 A.M. Teaching Geography through Coffee and Vice-Versa, James Hayes-Bohanan — Coffee employs millions of people worldwide and is enjoyed daily be billions, but is largely an anonymous commodity. This workshop introduces the coffee belt — a zone constrained by latitude and altitude across more than 50 countries. It quickly reviews the 50 steps from seed to cup, highlighting lessons about economic and environmental geography at key stages. Teaching with coffee provides an example of how to illuminate the often-hidden geographies of other common products. National Geographic Teacher Certification & Programs, Kathleen Babini, Brett Duncan & Tracy Dawson-Greene — In this session information will be shared on becoming a National Geographic Certified Educator. The NGS Learning Framework will be shared along with opportunities to be part of many other NGS programs. Participants will take part in activities that could be applied to the certification process, which they can then pursue independently. What If Everything You Knew About Hinduism was Wrong? Aesha Mehta — This session is designed to highlight best practices on how to teach about one of the most misunderstood world religions, featuring vetted resources and new approaches to teaching about Hinduism. Project Citizen, Ellen Morse & Roger Derosiers — Project Citizen is a program designed to help students and youth groups learn how to monitor and influence public policy. The program involves critical thinking, problem solving and cooperative learning. Project Citizen aligns well with a service-learning curriculum, as well as with citizen involvement issues in U.S. history and civics. This is a curriculum for individual teachers or team approach. Teachers will participate in a lesson that demonstrates the strength of the curriculum. Massachusetts Atlas for the Classroom, Arlene Kowal & Klaus Bayr — The teachers will be introduced to the overall concepts being presented in the recently revised Massachusetts Atlas (book) also available on a CD for use in K-6 classrooms. Lessons developed by New England teachers for their state atlases which were modified for Massachusetts will be reviewed and at least two tried in the workshop. Included on the CD are a large tile map of the state plus outline maps to use in the classroom. Using Inquiry Projects to Develop Social Studies Knowledge and Content Literacy, Barbara Andrews — This interactive session will highlight instructional practices that provide access to Social Studies standards and topics for diverse students, as they collaborate and engage in inquiry-based projects. Participants will gain an understanding of how to support the needs of all learners as they develop global awareness, social studies vocabulary, and reading comprehension skills and strategies. Participants will then focus on ways to create standards-based mini-lessons that explicitly foster each student’s ability to meet higher expectations. Building Community Resilience in Light of a Global Climate Crisis, Robert Hellstrom & James Hayes-Bohanan — We live in an increasingly volatile global climate resulting in more extreme weather events that adversely affect vulnerable communities. The goal of this panel is to discuss ways that educators can empower the next generation by building a firm understanding of global climate change and the social, environmental and economic impacts of extreme weather events so they can confidently engage their community to advance resilience strategies. Cross-disciplinary educational curricula will help prepare the next generation. The Geography Behind History, Vernon Domingo — All historical events occur someplace with that place’s distinctive location and physical and cultural attributes playing significant roles in determining social and political outcomes. Here we explore the nature of geography – locational, physical, cultural attributes of places – and how these impact historical events and processes. This session uses examples from the new curriculum framework as it explores the high value that geography provides in better understanding historical events. Geography and history in tandem. Teaching with Primary Sources from the Library of Congress and World Digital Library, Rich Cairn — Participants will learn tips to access the millions of freely available items in the Library of Congress and other national libraries. Exhibitions and primary source sets on focus topics will provide an introduction to strategies to use an array of primary sources to support exploration of geography and world history. Participants will strategies to find, manage, and put primary sources to use. New Englanders Go Global, Kathleen Barker & Elaine Heavey — Explore the world through the eyes of New Englanders! Engage with letters, diaries, and photographs that document the international travels of northerners in the nineteenth century. 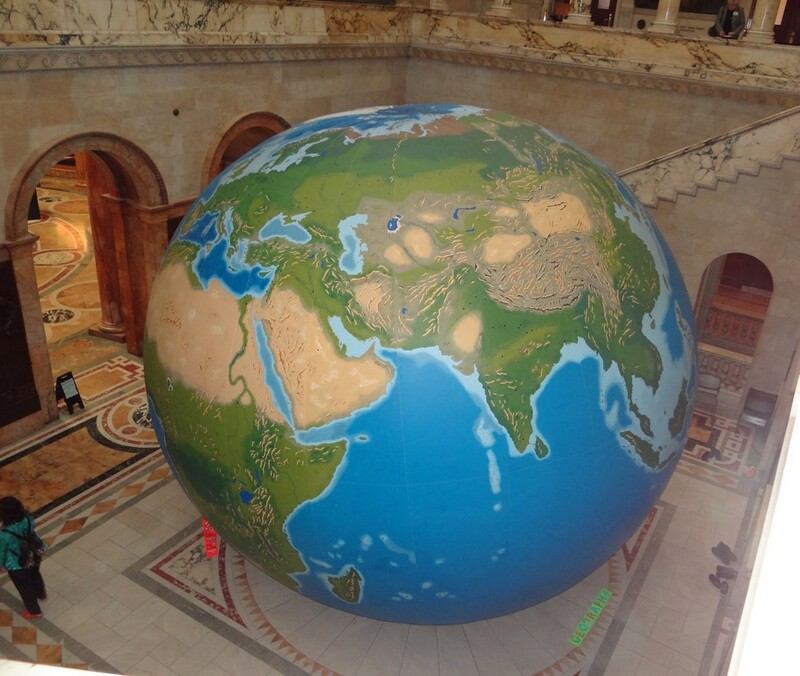 Using these examples from the Massachusetts Historical Society, we will model activities designed to foster traditional literacy skills and storytelling, as well as analysis of maps and spatial data. We’ll highlight tools for connecting primary sources and geography, such as such as Google Earth and Story Maps. Geo-Inquiry Process and Institute, Arlene Kowal, Laura Luker, Greg Russian-Area Literacy — This session will focus on the use of the geo-inquiry process and a project for the classroom presented by two teachers trained at National Geographic this past summer. They will explain what they learned and how they put it into action. 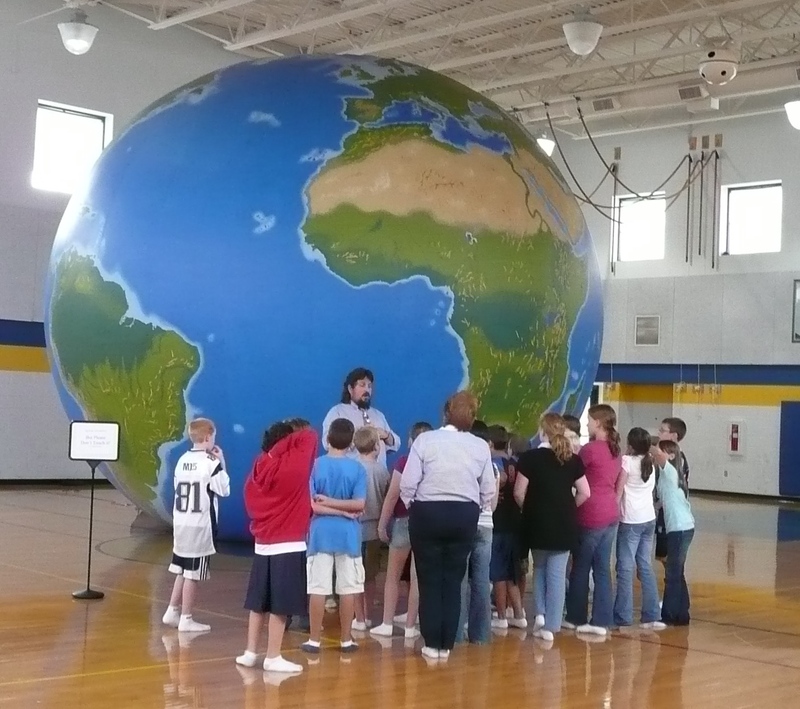 The Massachusetts Geographic Alliance in collaboration with the Vermont Geographic Alliance will be hosting a four-day summer institute in both MA and VT for teachers to become trained and familiar with the process. It is hoped that teachers in this session will consider the summer institute. Two teachers from MA will be selected to attend the training at National Geographic. 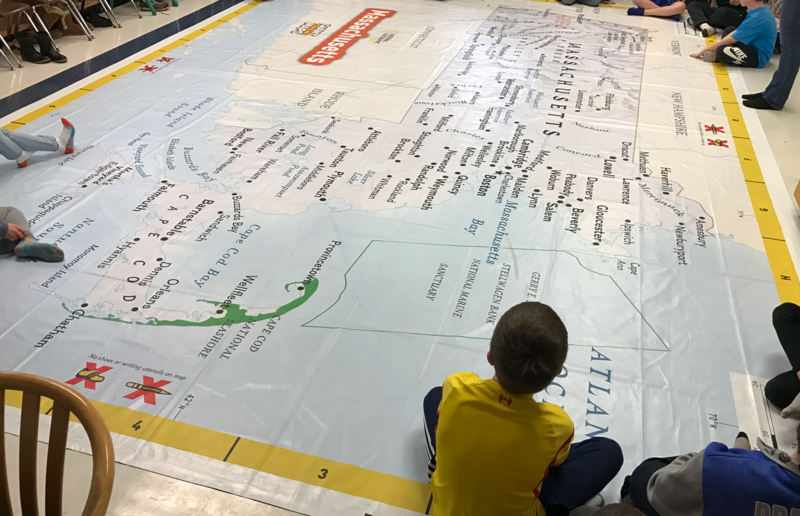 Mapping Massachusetts, Leslie Hamilton & Lisa Peterson — Participants will be part of a hands-on, feet-on experience with the giant Massachusetts Floor Map, learning about connections to economic, physical and cultural geography in Massachusetts. Activities will be shared and participants will learn how they can bring this learning experience to their own school free of change. Where is parking available for both the conference and the town hall? PARKING LOT G HAS NEW SIGN, WEST CAMPUS LOT. Right after Kelly Gymnasium. Parking is available in Parking Lot G. BSU is on spring break, so there should be available parking on campus.